DMK chief M Karunanidhi, on 16 December, was re-admitted to Kauvery Hospital after facing breathing difficulties due to a throat and lung infection. Karunanidhi was released from the hospital last week only. 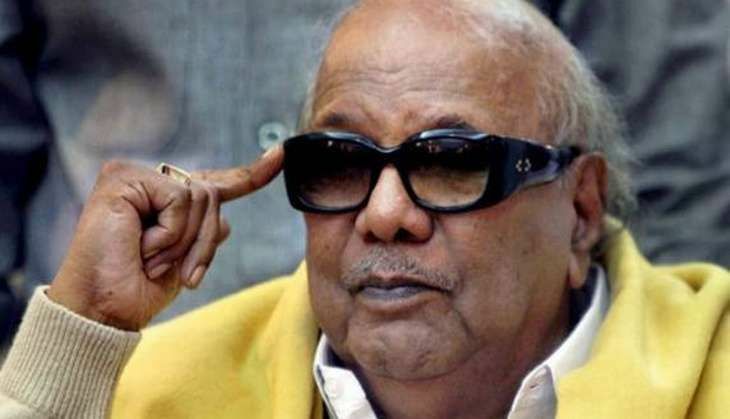 In a late night statement, Kauvery hospital said Karunanidhi was readmitted after he faced difficulty breathing due to a throat and lung infection. "He is stable and is being treated by a team of doctors," read a statement by S Aravindan, the hospital's executive director. Karunanidhi previously had spent a week a Kauvery hospital after receiving treatment at home for some time for a drug-induced allergy. According to the doctors he was admitted to the hospital for nutrition and hydrational support. After which he was advised to rest and warned against contracting any infection, reported NDTV. The drug-induced allergy had kept the former chief minister out of public life for more than a month. From his hospital bed, Karunanidhi had sent in his condolences for former Chief Minister J Jayalalithaa who died on December 5. "Although she might have died at a young age (68), there is no doubt that her fame will remain forever," he had said.